Hey folks thanks for checking out Local Lines Fall "Bloginar". 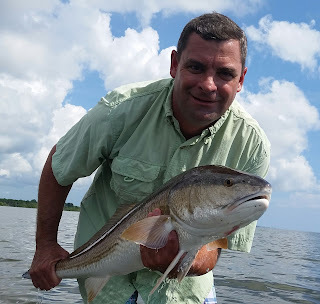 This is an on-line seminar series I am publishing quarterly (winter, spring, summer, and fall) that will cover fishing on the Lagoons and Near-Coastal waters of Brevard County, Fl (Space Coast). As if a dozen or so (in person) seminars, monthly articles in Coastal Angler Mag. Brevard and Orlando, and continuous articles in Merritt Island Now mag every year isn’t enough; we’re gonna bring you this too! Beautiful Lagoon Bull red and Capt Alex G. from a clients view. 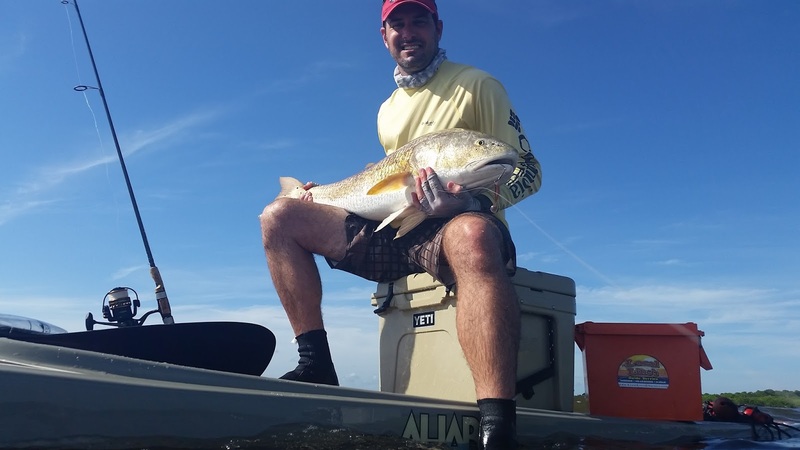 It’s fall on the Space Coast and if you’re not amp'd on getting some fish, well then you’re not paying attention. The annual “Fall” mullet run is kicking off nice with this front\tropical rain event we have been experiencing for several days. As this weather event moves out of our area the winds are predicted to stay from the north. With every cold/cool front driven north blow we get, more waves of mullet will come. Much like a train that’s hard to slow. As the mullet run increases momentum it’s hard to slow until they all pass through. On the Beaches and Near-Coastal waters a steady stream of south bound mullet will get the attention on every predator in town. Obviously with this much bait in the water it’s hard to get that artificial bite sometimes. Having a cast-net and method of live bait retention (bait bucket) is really paramount to success. 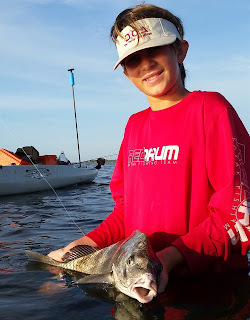 In current or surf that you will encounter while fishing from the Inlets and beaches a “fishfinder rig” works great with a live mullet, pinfish, croaker, or white bait. Be sure to match the egg sinker size to the conditions. You want to get the bait down, but not stifle its movement. Fishing the jettys, beaches, and inlets in this manner will score you snook, reds, mangrove, Snapper, jacks, tarpon, and sharks. Slow trolling large mullet 9-14inchs long from just outside the breakers, all the way to 50ft depths will get you shots at big kingfish, tarpon, cobia, and sharks. 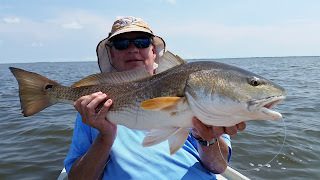 20-30lb class conventional rods with light tips work well in this live bait trolling situation. Rig with a “kingfishlive bait rig” and sub out wire leader to the lead hook with 60-80lb mono/flouro, but keep the wire to stinger hook. Find the concentrations of bait to find the fish by foot, boat, or kayak. It can truly be a sight to behold if you catch the right day at the right time, so keep an eye to the beaches for some fun fishing. Top method Artificial: Plugging the beaches with “bomber style” lipped plugs by foot. This can be done with heavy river tackle 10-20lb class spinning setups. Fish the troughs and washouts from the sand to breakers. Many times the main target (snook) is in the first trough and even running bait onto the sand on higher tides. 40lb leader and braid from 10-20lb works well, I typically like braid in this situation for the lack of stretch and smaller line diameter in churning waves. Be sure to cast horizontally not just straight out. You won’t tend to have much in the way of snags so have some fun with these fish. Top method Natural Bait: Live bait trolling like described above. Mullet are hardy baits so load up that livewell. When you find a fishy area or the bite gets a bit slow, just toss out a few free ones. They will likely hang with the boat or the baits your trolling. Fish always love freebies! The lagoon waters will also burst at the seams as the months dwindle into the new year. 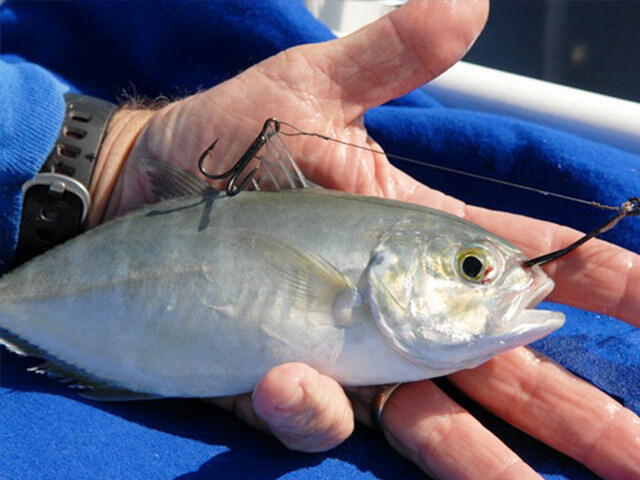 Some bait will stay through winter, but much of the mullet (most prevalent Space Coast Lagoon bait) will head south to warmer winter waters. 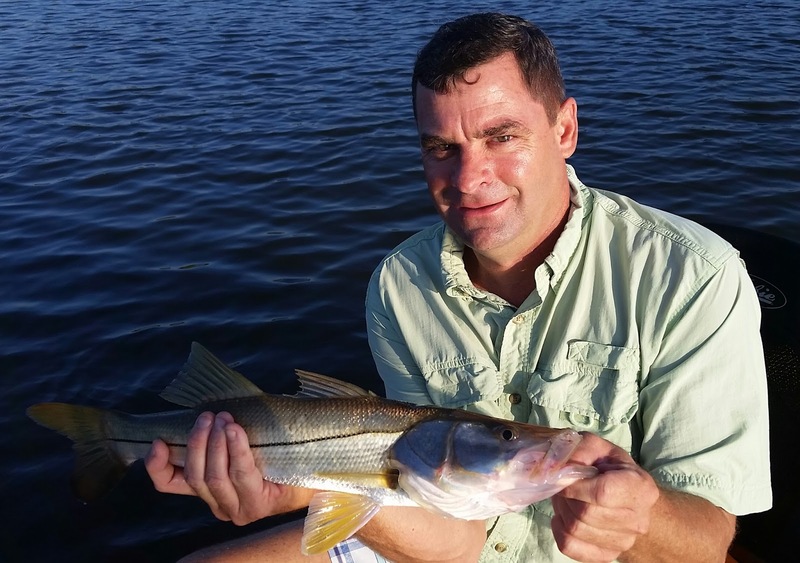 Get those shots at your tarpon (juvi) and snook in the lagoons now, because after a good cold snap or two they will become increasingly tough to find. 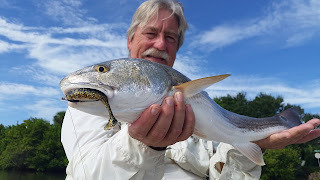 The trout and reds know a change is coming also, so they will feed heavy in fall to pack on the pounds for winter. Look for search baits like the Slayer Inc. SST rigged weedless on a keeper hook to produce fish at all hours of the day. Favorite colors are Bounty Hunter, Gumbo, pearl, and molting for this time of year, or just about any time of the year for that matter. When conditions allow; a topwater plug can produce explosive strikes at any time of the day or night. I say when “conditions allow” due to the amount of floating grass typically encountered this time of year. Just like your law stops growing in the fall and winter. The lagoon grasses will do the same, along with breaking loose, and making it generally sucky to work anything but weedless. Focus on areas the make bait change their movements. Things like dock lines, points, and drop-offs or edges will interrupt the south bound mullet and create ambush points. These ambush points will become fish staging areas and consistently produce until the lagoon run slows with winters chill. Not that you won’t find tailing reds chomping on shrimps and such, but most fish will be hunting mullet. 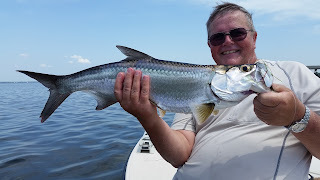 As with the beach mullet run, the lagoon one can become so heavy with bait that an artificial bite is very tough. Grab the net and freeline some mullet, it works wonders on your catching. 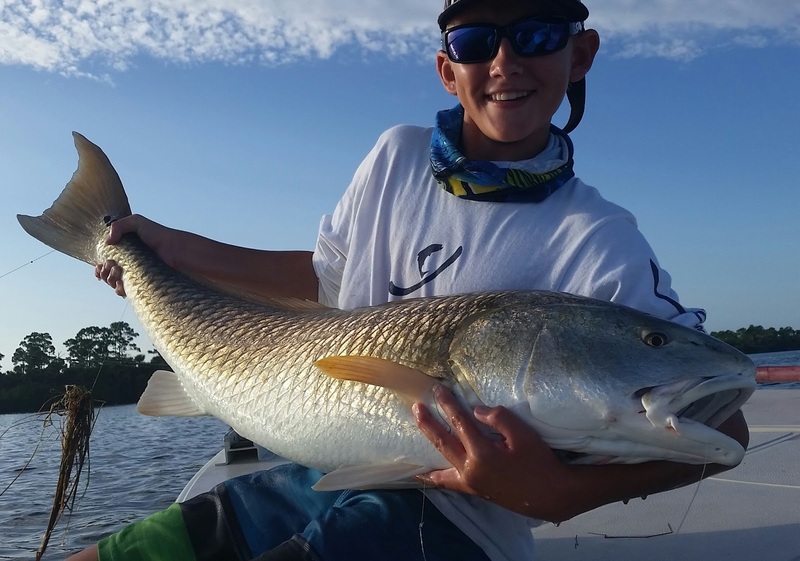 The redfish spawn is in full swing so please be respectful of these fish, one-and-done (don’t pound the school), and use heavy tackle to limit fight times. We have a very unique group of bull reds on the space coast, and it’s our responsibility to care for them. Top method Artificial: topwater plugs on outside edges of flats or drop-offs. 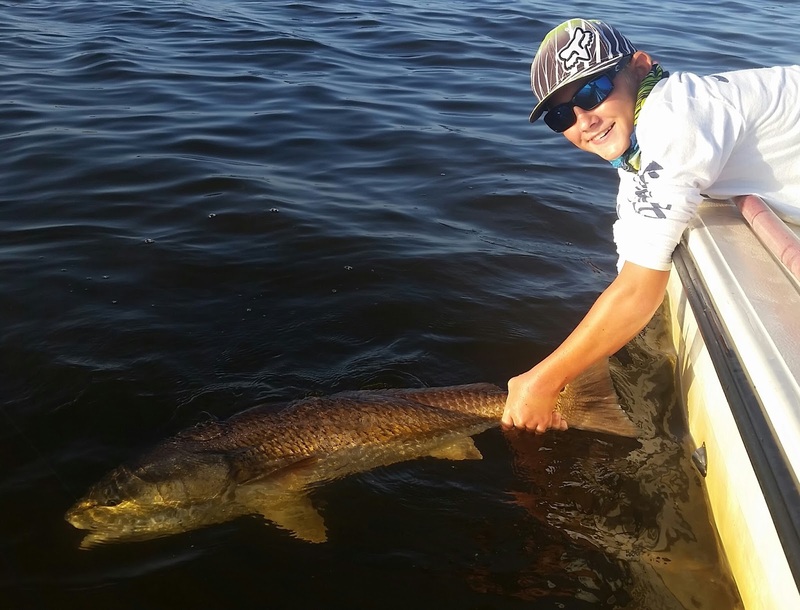 It doesn’t always happen, but if you find big schools of bait pushing on a 2ft + drop-offs or deeper flats. Pay them some serious attention with a large topwater plug. 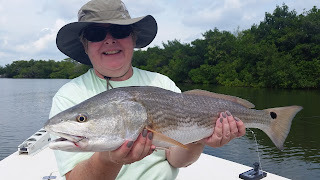 A true mixed bag lagoon session can be had with trout, big redfish, tarpon, jacks, ladyfish, and a few other visitors. Great fun and it can happen at any time of the day. 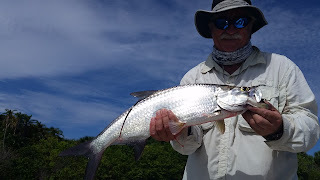 Top method Natural Bait: Bullet mullet (3-5 inches) freelined tight to the mangroves. I look for deeper, open flat shorelines with some adjacent canals. Tail-hook the small (bullet) mullet just under his second fin on top of its back. Keep tension and the bait won’t wonder around, but sit in the same spot (preferably next to or under the mangroves) and just wiggle. Snook, Tarpon, trout, and reds will pop this bait from underneath. It is quite visible and fun to watch. Be sure to check NoFill No Kill for any updates on the proposed rail line over the lagoon. Some great things are happening on that front, so get involved. I was doing the weekly report, but a survey of the people said they like to see my charter pics daily. So back to that we go! Make sure to “Like” and “Share” Local LinesCharters or my personal FB page for the most up-to-date charter fish pics, and info. I will still post Blog reports and forecasts, maybe monthly, and Of course these quarterly Blog seminars (Bloginar’s). 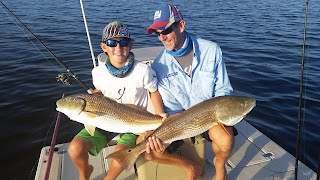 Hope you enjoyed and Please feel free to book a charter for these exciting fishing adventures. The New boat is coming along great too! 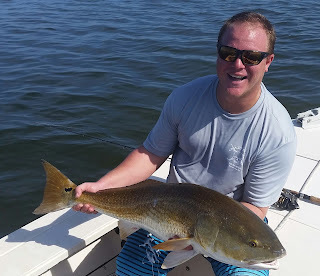 Here's some pic's of our catches over the past few weeks. We have open dates the 26th and 29th of Sept., so be sure to grab a day if your looking to close the month out right. Plenty of openings in October too!